This is a short and easy-to-read story for beginning readers, accompanied by richly colored illustrations. 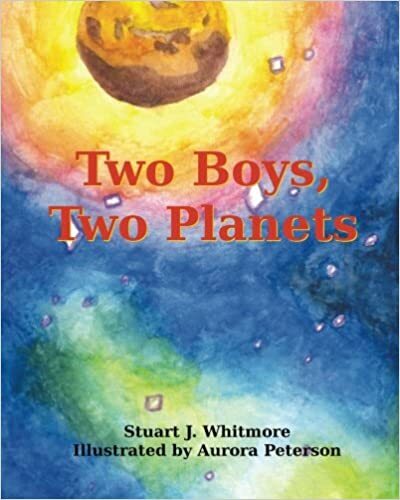 In this star-gazing tale, a boy on Earth finds out he's not the only one in the solar system with a desire to visit other planets. Earth and Mars are presented in a way that highlights how different they are without presenting either planet in a negative manner. The vocabulary and sentence structure were designed to enhance reading confidence while still making the story fun to read. Resources in the back of the book help teachers and parents find more factual information about Mars for young readers who show an interest in learning more. Images were processed using GIMP. Original illustrations created using watercolor pencils on watercolor paper. photographs, hanging out with friends, and rock climbing. In the summer, she enjoys camping and hiking with her family and friends. Comments? Did you like this book? Please share it with others! If you did not like this book, please feel free to share your comments with the author. All comments about the book, positive and negative, are welcome. You may contact the author on his Web site: http://www.just-stuart.com/bookshelf On that page, you will find a link to a survey about this book.